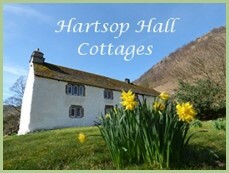 The Hartsop Hall Cottages website may contain links to other websites operated by third parties. We do not accept responsibility should you enter them. All text and photos on this site is exclusively owned by Hartsop Hall Cottages unless otherwise stated and may not be reproduced or copied in any media or format without the express written permission of the owners.